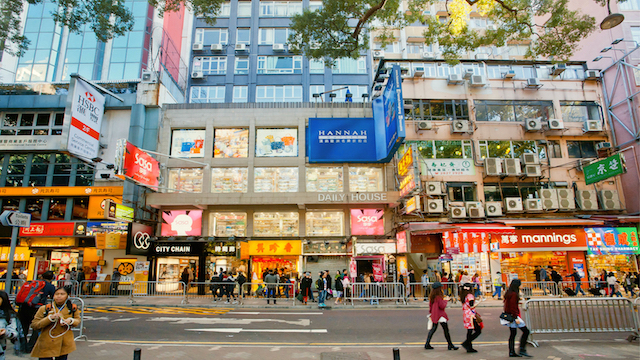 Bad weather failed to spoil the fragile recovery of Hong Kong retail sales in June. According to preliminary data issued by the Census and Statistics Department, the total value of retail sales for the month reached $33.7 billion, up a mere 0.1 percent over the same month in 2016. Some analysts were fearing a decline after inclement weather discouraged local shoppers from heading to the malls. While sales for the first half year are down by 0.6 percent year-on-year, June’s meagre rise follows a revised 0.4 percent increase in May. More importantly, quarter-on-quarter sales increased by 2.4 percent in the second three months of this year. And even the traditionally pessimistic HKRMA is tipping an improvement in the last half of the year. “Most of our member companies are looking forward to steady growth for the coming months and the remainder of 2017,” the association said in a statement. A government spokesman said June’s retail sales reflected firm local consumption and a receding drag from inbound tourism. After netting out the effect of price changes the department estimates the total volume of retail sales in June rose by 0.4 percent year-on-year and by 0.6 percent in May. By broad retail category, and in descending order of impact on the overall figures, supermarket sales increased by 0.4 percent, department stores by 0.8 percent, food, alcoholic drinks and tobacco by 2.6 percent, furniture and fixtures by 4.7 percent and Chinese drugs and herbs by 1.7 percent. However, sales of jewelry, watches and clocks slipped 0.8 percent, apparel sales by 1.4 percent, medicines and cosmetics 0.5 percent, electrical goods and photographic equipment 8.1 percent, footwear and accessories 4.5 percent, books, newspapers, stationery and gifts 6.3 percent and optical shops by 3.8 percent.